Basic steps in creating and editing a graph. QuickPlots versus graphs where you explicitly specify the range of values over which to plot. Procedures for creating graphs with multiple traces. Procedures for modifying the formats of the x- and y-axes. 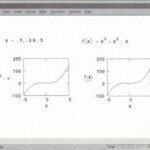 Procedures for modifying the formats of curves or traces in a graph. Procedures for using default format settings. Procedures for working with titles, axis labels, and other labels. 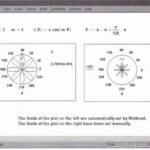 Procedures for changing the size of the graph, zooming in on a portion of the graph, and finding coordinates in it. 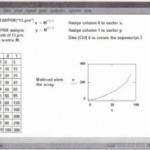 You create X-Y graphs in Mathcad using theX-Yplotoperator. The -Ypkx operazor like other Mathcad operators, has placeholders for you to fill in that pecify expeessions to be computed and displayed. • Click on the X-Y Plot button in the Graph Palette. • Create a QuickPlot based only on one or more expressions of a single variable, the dependent variable. Once you have entered the expression(s) in the placeholder on the y-axis, Mathcad automatically creates the plot over a range of -10 to 10for the dependent variable on the x-axis. • Explicitly enter expressions on both the y-axis and x-axis that specify the range of values over which to plot. Usually these expressions depend on range variables you have previously defined in your worksheet. If the range variables aren’t previously defined, Mathcad will generate appropriate range variables for the plot. 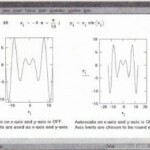 This section outlines the difference between these two uses of the X-Y plot operator. The sections “Graphing functions” on page 464, “Graphing a vector” on page 465, and “Graphing more than one expression” on page 470 describe the kinds of expressions you can plot in greater detail. 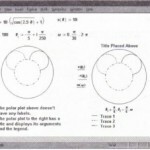 See “Formatting the axes” on page 472 and “Formatting individual curves” on page 478 for an introduction to Mathcad’s plot formatting options. • Enter the expression or function of a single variable you want to plot. Make sure the editing lines remain in the expression. • The placeholder at the middle of the horizontal axis holds the variable or expression to graph against. Enter a range variable, a subscripted variable, or any other expression involving a range variable in this placeholder. • The placeholder at the middle of the vertical axis holds an expression to graph. Enter a range variable, subscripted variable, or any other expression involving the range variable on the horizontal axis. 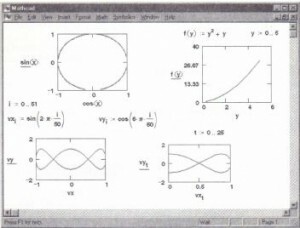 Figure 20-1 shows some typical graphs with the placeholders filled in. Note the line that appears under the y-axis arguments. This indicates the trace type and color used to display the curve. See the section “Formatting individual curves” on page 478 to learn how to control this. The graph in the upper left comer of Figure 20-1 is an example of a parametric plot: one in which the expressions you are plotting on the x-axis and y-axis are both functions of a ingle variable. If you do not explicitly define a range variable for the parameter in such a plot, Mathcad uses a default range for this variable to create the graph. 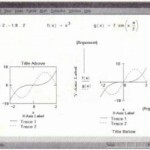 X- Y graphs of expressions, functions, and vectors. If an expression is complex, Mathcad graphs only the real part. The imaginary part is ignored. Note that no error message will be displayed. • Press and hold down the mouse button just outside the plot. • With the button still pressed, drag the mouse cursor so as to enclose the graphics region in a selection rectangle. To move a graph, follow the instructions above for deleting it. Then click the mouse wherever you want the graph and choose Paste from the Edit menu. Alternatively, you can drag a plot as you would an equation.